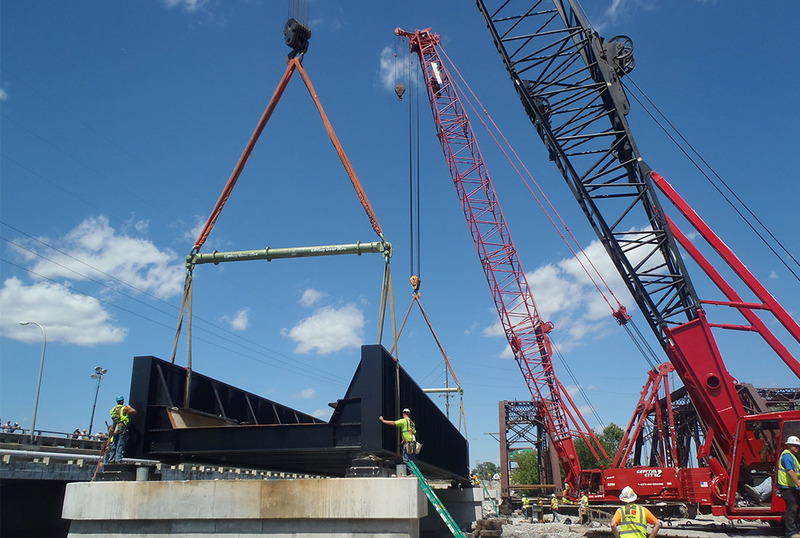 This project included the replacement of Norfolk Southern Bridge in Monroe, Michigan. The existing structure was a three span ballasted deck through truss built in 1894. This line of tracks carries freight and supports the Detroit automakers. The new structure is a four span through girder bridge. 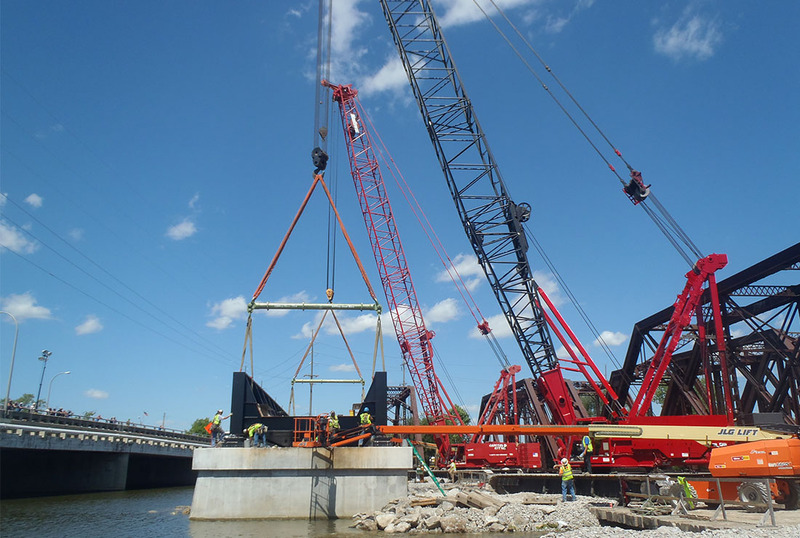 The project included the installation of three new piers along the same alignment as the current bridge. Each new pier sits on top of 18 micropiles. The existing abutments were modified and reused. 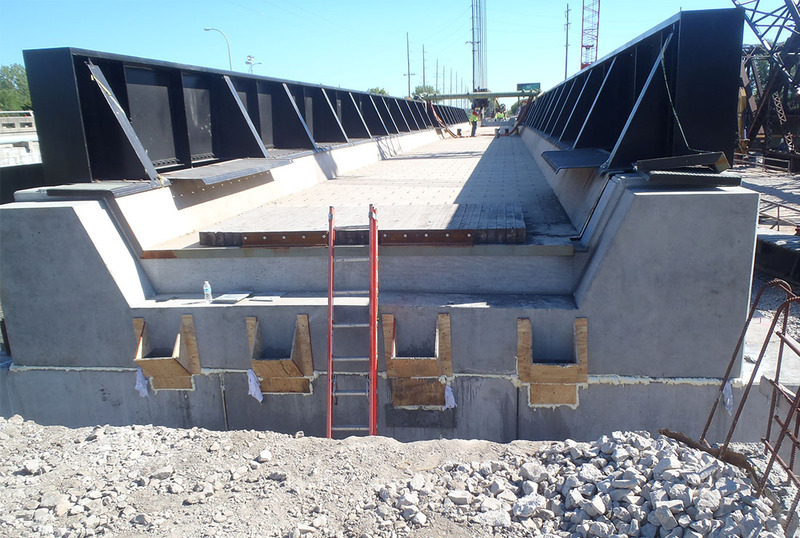 The new substructure was constructed under the existing bridge to maintain train traffic, and the spans were built in a staging area just South of the existing bridge. A temporary causeway was constructed to gain access through the river to construct the new piers. Norfolk Southern granted a five day train outage to replace the bridge. 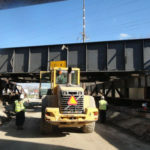 During the outage, the existing bridge was dismantled for scrap and the new spans were placed using a pair of cranes.